Do you want to holo all the things?! Then this is the topper for you! Do you have a favourite polish that you think could be made even better with some holo rainbows? Holo up all of your existing polishes to add a bit of bling and sparkle and take your nails from work to night out. Pictured is one coat over Vacuity black creme. This top coat adds such a shimmer and sparkle to your colour. It gives another dimension to your existing colours (flat colour or sparkly version with this on top) but will also mean you can tease another few days or even a week out of your colour, as it makes a tough top coat too. 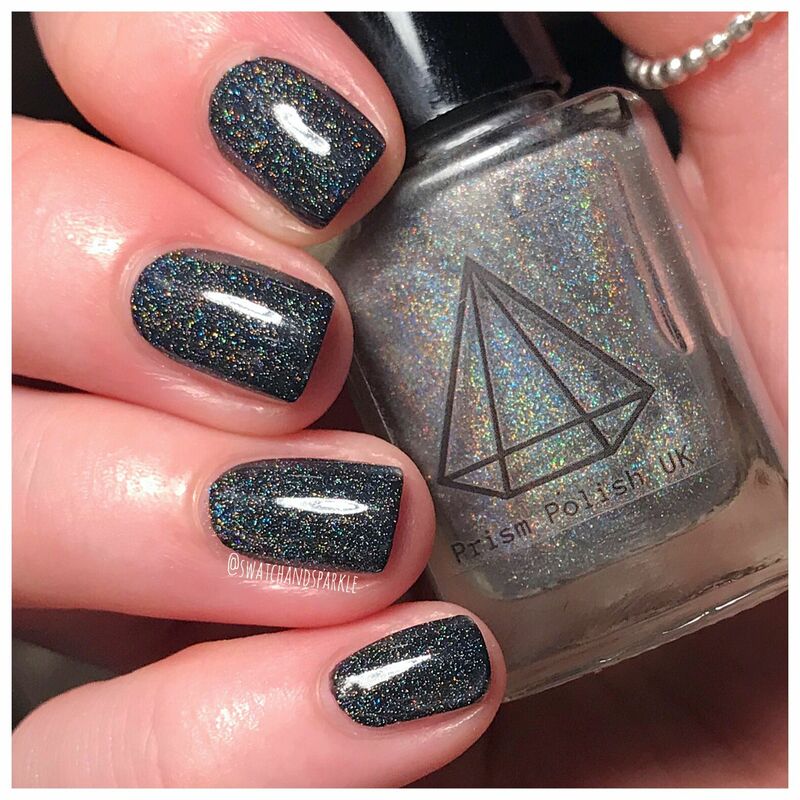 I bought this topcoat to go over some of my plain nail varnishes and it really does add an extra dimension to the finish, especially when the sun shines directly onto the nails. So glad I got this as it does exactly what I wanted - sparkling up my old colours. I'll definitely be getting some more when this runs out.